Washington (AFP) - US-led aircraft have dropped nearly 5,000 bombs in the air war against Islamic State jihadists in Iraq and Syria, damaging or destroying more than 3,000 targets including tanks, the Pentagon said Wednesday. The latest figures released by the US military signal a steady expansion in the scale of the air campaign launched in August and also reveal an adversary with hundreds of armored and other sophisticated vehicles at its disposal. Since coalition air raids started in Iraq in August and in Syria in late September, US and allied aircraft have struck 58 tanks, 184 Humvee armored vehicles, 303 pickup trucks, 26 armored vehicles and 394 other vehicles, according to statistics from the Pentagon. Most of the vehicles, many of them US made, had been seized by IS fighters from the retreating Iraqi army. US military officers could not say how many of the targets were damaged or destroyed but spokesman Colonel Steven Warren told reporters: "I'm confident the destruction level is high." It also remained unclear how many tanks or other vehicles the IS group still has in its arsenal after the air raids. Warren said the military did not want to say what percentage of IS weapons or vehicles had been destroyed because "we don't want our enemy to know how much we know about them." 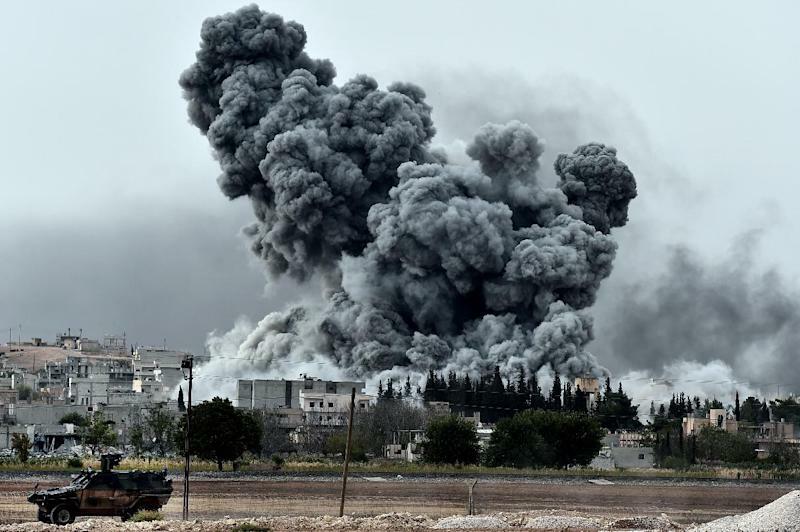 The United States and its Western and Arab allies have carried out 1,676 strikes so far and launched 4,775 munitions, officials said. American commanders say the raids have halted the advance of the IS group in Iraq, disrupted its crude oil smuggling network and hampered its ability to move on the ground. But the IS militants remain in control of large swathes of territory in Syria and Iraq and continue to receive new recruits. The figures come a day after US officials said for the first time they were investigating at least two incidents in which civilians may have been killed in air strikes in Iraq and Syria, and three other cases were being assessed for possible probes. Coalition aircraft have flown a total of 15,465 sorties in "Operation Inherent Resolve," including attack missions as well as refueling runs and surveillance flights, officials said. The vast majority of air strikes and other military flights are carried out by US aircraft but officials have declined to provide a breakdown of how many sorties were carried out by partner countries. The US share of the operation already has surpassed the American role in the 2011 air campaign in Libya.